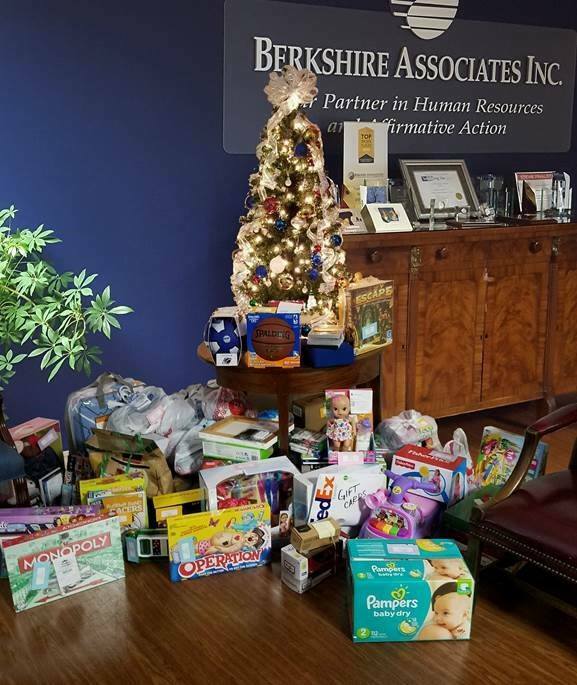 Berkshire recently completed its third annual Holiday Charitable giving Drive benefiting the Women’s Housing Coalition (WHC). Berkshire employees bought a total of 175 gifts which will be distributed to 31 children living at WHC homes. In addition to the gifts, Berkshire also donated $7,500 to WHC. The Women’s Housing Coalition is dedicated to breaking the cycle of homelessness for women and children by providing affordable housing and supportive services to enable them to sustain social and financial independence. The WHC serves homeless, low-income women with disabilities and families. In addition to housing, WHC services include case management, advocacy, and life skills training. Services are tailored to meet the needs of each woman or family and are based on their individual situations and goals. If you would like more information on the WHC, click here.